Malayala Manorama editorial director Thomas Jacob has been selected for the state government’s Swadeshabhimani-Kesari award for 2015. THIRUVANANTHAPURAM: Malayala Manorama editorial director Thomas Jacob has been selected for the state government’s Swadeshabhimani-Kesari award for 2015. Chief Minister Pinarayi Vijayan telephoned him to announce the award and congratulated him. The award carries a cash prize of `1 lakh, a citation and sculpture. A jury comprising Kerala Media Academy chairman R S Babu, columnist and former Additional Chief Secretary D Babu Paul, journalists S R Sakthidharan and M G Radhakrishnan unanimously selected Jacob for the sixth edition of the award. 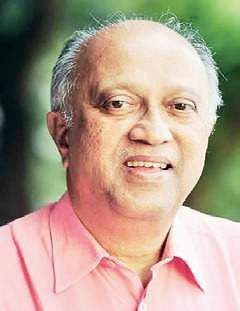 Earlier recipients of the award include T Venugopalan, Sasikumar, B R P Bhaskar, V P Ramachandran and K M Roy.It was pointed out in the jury’s reference that Jacob, who is completing 50 years in Malayala Manorama, made immense contributions during his career and played a major role in the progress of Malayalam journalism, which made an immense leap in circulation as well as technical advancement during the period.